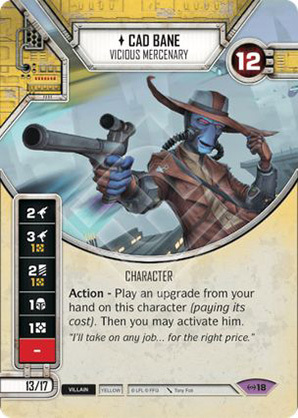 Personagem - Bounty Hunter. Pontos: 13/17. Vida: 12. Action - Play an upgrade from your hand on this character (paying its cost). Then you may activate him. "I'll take on any job… for the right price."